I love Oak Leaf Hydrangeas this time of year. I made this arrangement at The Clay Pot today consisting of Oak Leaf Hydrangeas, Stock, Judy Roses, Salal and Huckleberry. I love the billowy drape of the hydrangeas. 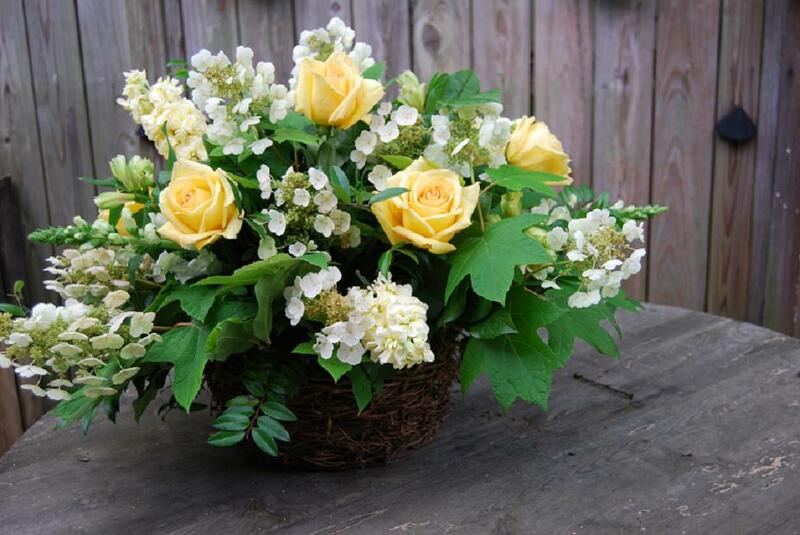 To keep the natural look of the arrangement, I used a low 10″ willow basket for my container.